By Muhammad Eizat bin Zakbah. 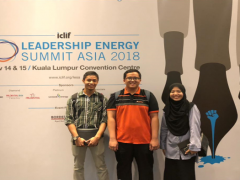 The Leadership Energy Summit Malaysia 2018 (LESA) is an international event under the ICLIF Leadership & Governance organization. At ICLIF, true leaders get going by seeing opportunities where others see adversity. For the past five years, thousands of business leaders have benefitted from the Leadership Energy Summit Asia (LESA). The summit was held for the purpose of inspiring business executives with leadership energy and helpful insights through various talks by renown speakers and powerful informative masterclasses. 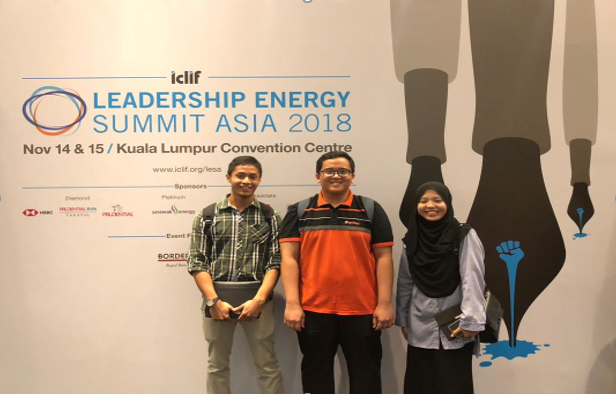 The event was held at Kuala Lumpur Convention Centre (KLCC) on 14th and 15th November 2018. Three students from Kulliyyah of Languages and Management (KLM), volunteered to help facilitate to make the programme a success. The students, namely Muhammad Yusran bin Mohd. Rosman, Muhammad Eizat bin Zakbah and Nadhirah binti Ishak departed from Pagoh on 13th November to attend the briefing session in Kuala Lumpur. It was clear that the event management organisation (Flying Frogz) was highly professional and was strict on punctuality. Working under the Majlis Belia Malaysia (Malaysian Youth Council) team under the supervision of the Flying Frogz management, the students were assigned to become usherers for both days. Tasked with directing and helping participants to the venues, our English communication skills were put to the test as many of the participants consisted of senior executives from various companies across Malaysia and abroad. 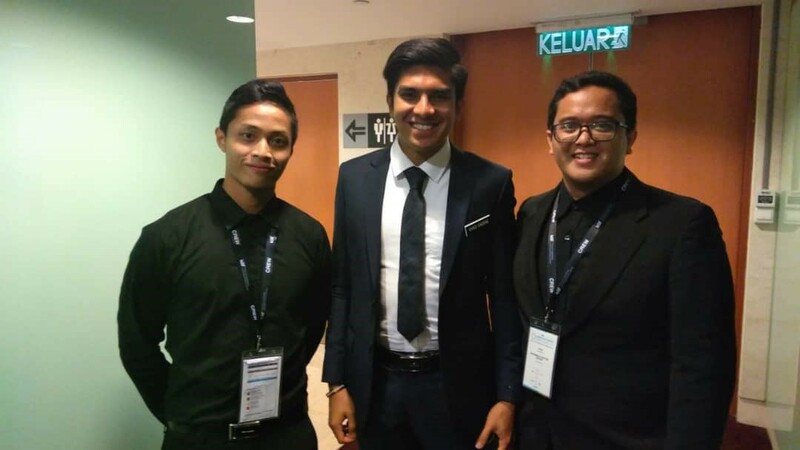 The first day of the event which was on 14th November was the most challenging as the guests of honor included Sultan Nazrin Muizzuddin Shah, the 35th Sultan of Perak (currently the Deputy Yang Di-Pertuan Agong of Malaysia) as well as the Minister of Youth and Sports, YB Syed Saddiq bin Syed Abdul Rahman. Apart from that, there were over 1,000 attendees comprised of business leaders, leadership experts and their proteges. All praise be to Allah, the first day ran smoothly, albeit very tiring. 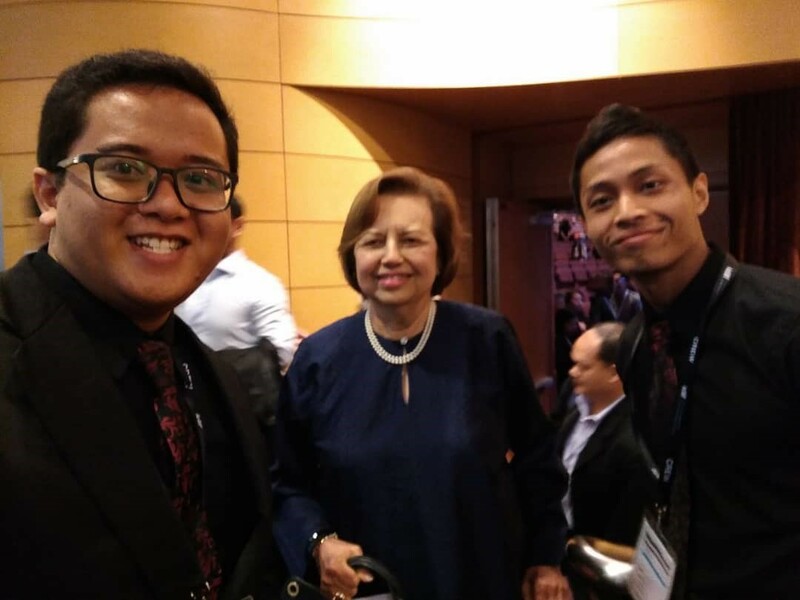 The first day of LESA became more intriguing with the presence of Dr. Amani Salim, the first Malaysian scientist to launch a National Aeronautics and Space Administration (NASA) satellite to space, giving her very inspiring speech to all the companies’ leaders. In addition, participants were also revealed to the 13 behaviours of high trust leaders by Stephen M.R. Covey and and not to forget, inspiring speeches by Rajeev Peshawaria and Brett King. On the second day which was on 15th November, the students and their team were assigned with the same task as the previous day where they had to usher all the VIPs to the respective venues. Fortunately, the second day was more relaxed since the VIPs and the participants mostly knew the area well enough. The agendas of the second day consisted of speeches by the well-known speakers Richard Quest from CNN News, Samuel West and Dr. Julia Kim. The participants were also given the opportunities to listen to the ILEA Winners Stories and The Big Debate featuring Richard Quest and Rajeev Peshawaria on the common characteristics of great leaders all over the world, and one of it is by instilling in one self a Positive Autocratic Leadership. The participants were then exposed to the five keys to positive autocratic leadership and the difference between positive autocratic leadership and dictatorship. Overall, the programme had provided the students with extremely valuable experience as it was no ordinary international event. Throughout the programme, the students gained many important life skills such as public relations skill, interpersonal skill, communication skill, teamwork, adaptability, problem solving, conflict resolution as well as the main objective of the event itself, the leadership skill. The students managed to enter the conference venue from time to time, gaining valuable leadership knowledge. As a matter of fact, the tickets to participate costed RM2,800 at minimum, so the value that the students received was remarkable indeed. As the conclusion, it is hoped that KLM students will always be exposed and provided with the opportunities and platforms to embrace new experiences along their journey as a student in International Islamic University Malaysia (IIUM) as it helps them to develop themselves into being a greater version of themselves to become the leader for the Ummah.